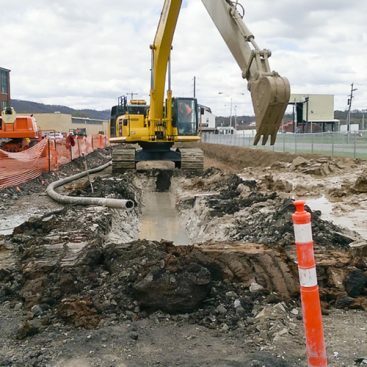 Slurry trenching is an established method of installing deep barrier walls in difficult conditions when conventional open cut methods are not possible. 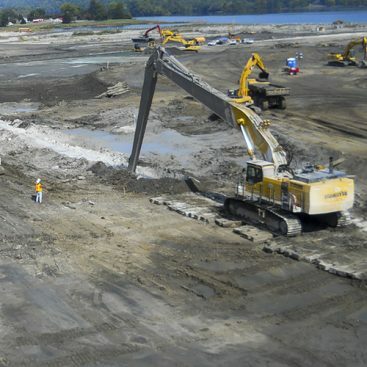 As the trench is excavated, prepared slurry is added to the trench to support the trench opening and maintain a stable trench. 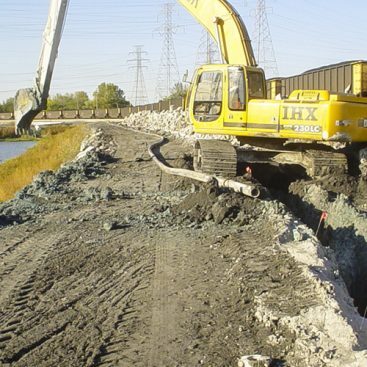 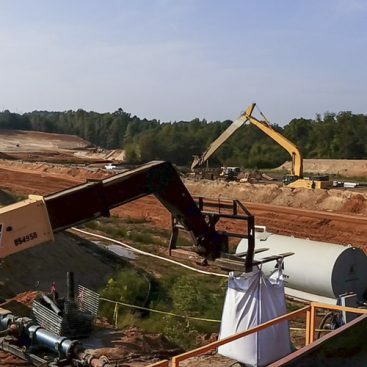 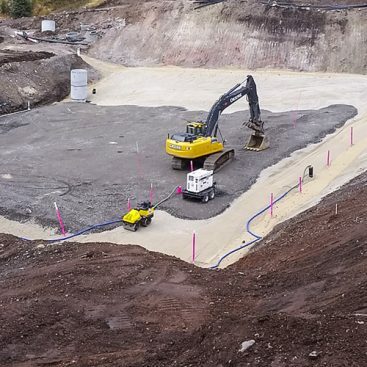 The self-hardening or Cement-Bentonite slurry wall is constructed by typical slurry trenching methods with the exception that the slurry used to maintain stability of the trench during construction is self-setting and becomes the permanent backfill. 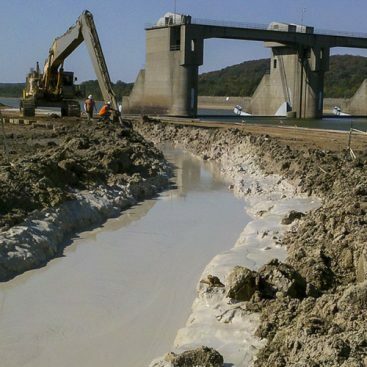 The Cement-Bentonite slurry typically consists of a mixture of blast furnace slag, Portland cement, bentonite clay and water and is sometimes referred to as simply a cement-bentonite wall. 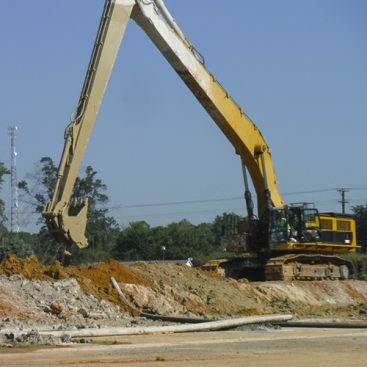 The slurry or backfill is manufactured in an on-site batch plant and pumped into the trench at the point of excavation. 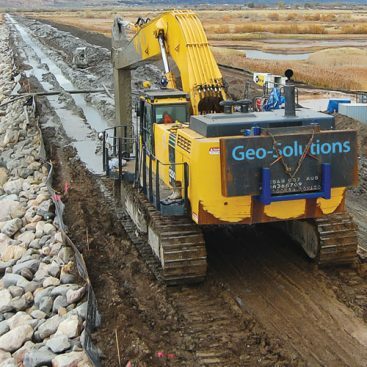 Construction of the CB wall does not require mixing of spoils with slurry, bentonite or other dry materials either beside the trench or at a remote location and thus is a neater operation.